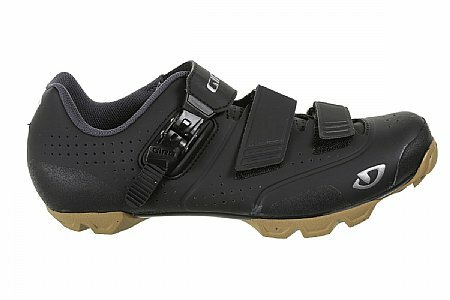 I bought these shoes on sale as an alternative to top-of-the-line mtb shoes I usually use for mtb'ing. I was tired of tearing up my CX shoes doing more all-mountain riding, so I decided to give these a shot. The fit is more forgiving (wider) than the Giro Empire shoes. I upgraded the insole and really love these shoes. Honestly, when pedaling I don't notice the softer sole (it's nylon, not carbon), and when I have to get off the bike it's great not to clunk around as much. They seem reasonably ventilated, in fact they feel cooler and lighter than my Empires (although supposedly they're a bit heavier). Giro's run small-size up a half size. The Privateer is a solid all-around performer. I use it for commuting, general riding and touring. On a recent gravel tour there was plenty of mud, but the shoe shed it well and the inside stayed pretty dry considering the sloppy conditions that went on for miles. It feels lighter than the previous version I had and that's a bonus. Bought it on sale, what a steal!